Thousands of students put on a show of supreme choreography during a mass kung fu class to celebrate China's cultural history. 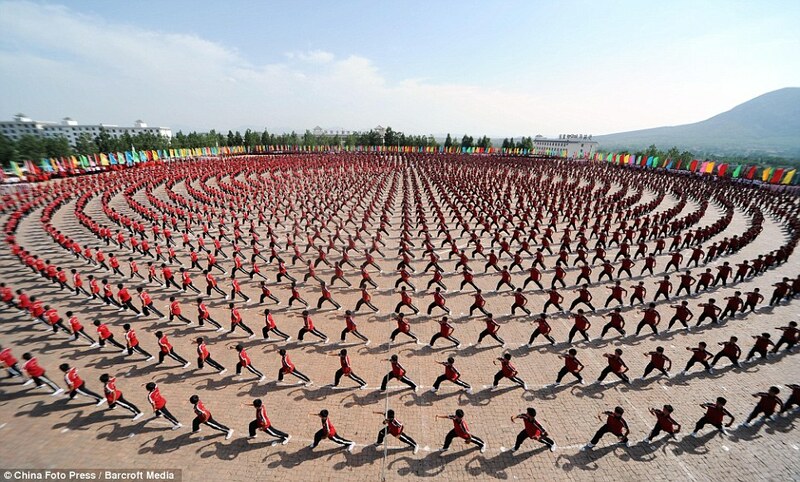 A total of 10,000 pupils from the Tagou martial arts school performed various moves in an extraordinary visual display in the country's Henan province. The event took place to mark the national Cultural Heritage Day, which is held on the second Saturday of June.